A former Spanish and French colony, the southern US state of Louisiana is filled with rolling hills and scented pine forests, multicultural cities and murky swamps teeming with alligators. The Pelican State couldn’t get much more varied, from the God-fearing Protestant settlements of the north to the debauched streets of New Orleans in the south. The lively, jazz-mad, multi-ethnic melting pot of New Orleans is without doubt the major reason tourists swarm into Louisiana. 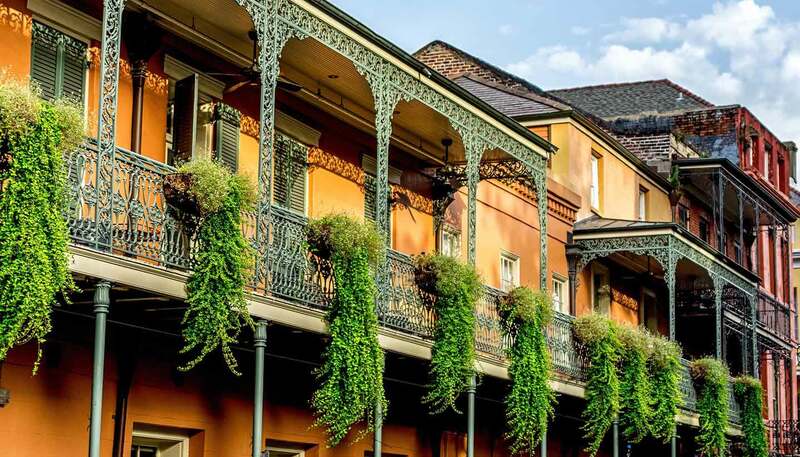 It’s famed for its exotic fusion of cultures (from Native American and Afro-Caribbean to French and Spanish); its colourful Mardi Gras; thrilling live music; striking French-Creole architecture; picturesque Mississippi river setting; innovative cuisine; and unique French Quarter. Beyond New Orleans, explore the magnificent gardens and Cajun culture of Lafayette, the starting point of the Wild Azalea Trail, which takes visitors through the stunning Kisatchie National Forest. The vast waters of the Atchafalaya Basin, the largest and most remote swamp in the USA, are one of the best places to track alligators. The state capital, Baton Rouge, is a kind of New Orleans lite. Situated on the banks of the Mississippi River, it offers great food, live music and a chance to see the wondrous Capitol Building, the tallest capitol in the United States. You can also take a trip over to Avery Island, home to the world-famous Tabasco sauce factory. It has produced the red pepper sauce here since 1868 and shares the island with huge salt domes and captivating jungle gardens. Bag a bottle for a fiery memento of this spicy state. 128,593 sq km (49,650 sq miles).